Like an eye in the sky! The image above may look like the illustration for a vintage science fiction movie, an astronaut transfixed by an alien sun on a desolate planet. 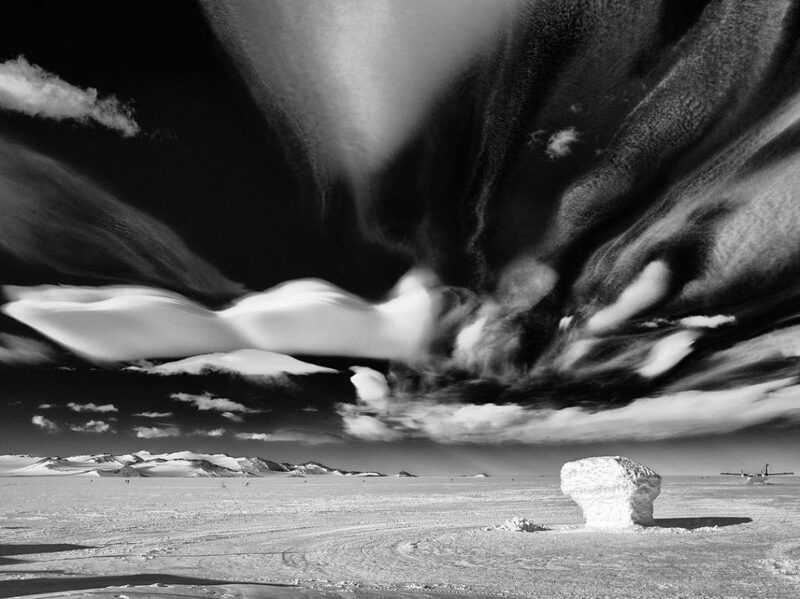 But no, it’s just another day on Earth… better said in wondrous Antarctica. It’s a place few will visit, which is perhaps why it feels so alien. The sky gives the picture its extraterrestrial quality, but its cause is definitely of this world. Clearly, the atmosphere was alive with crystals facing both directions. 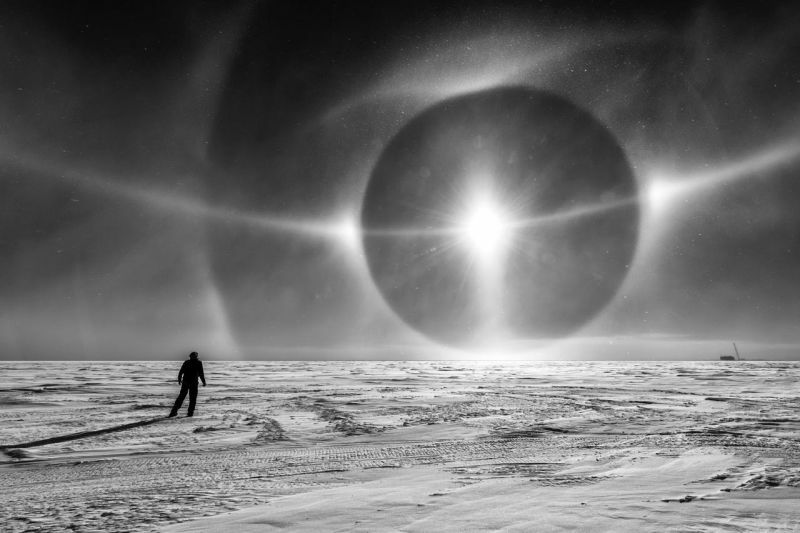 The phenomenon is known as a sun dog – or parhelion – and it happens when there are hexagonal ice crystals in the air, tending to float horizontally because in that position, they refract light so that it appears there are two other baby suns flanking the real sun. 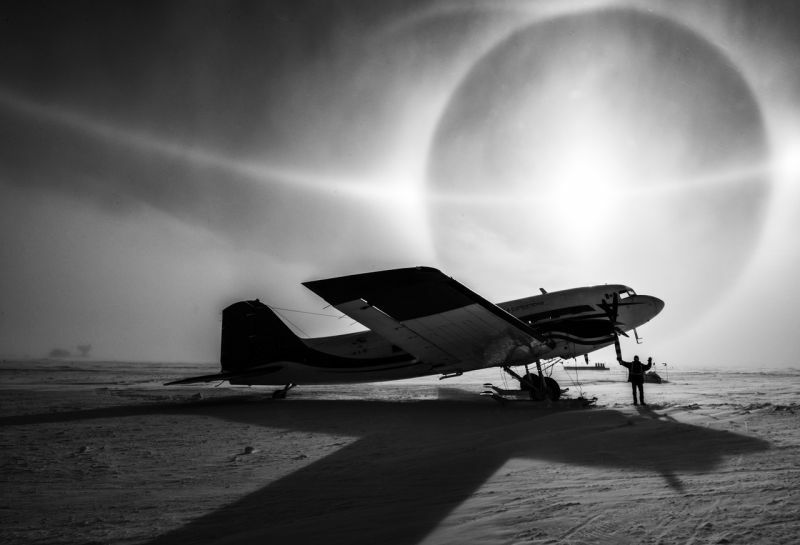 When crystals are more vertical, they create a halo around the original sun. 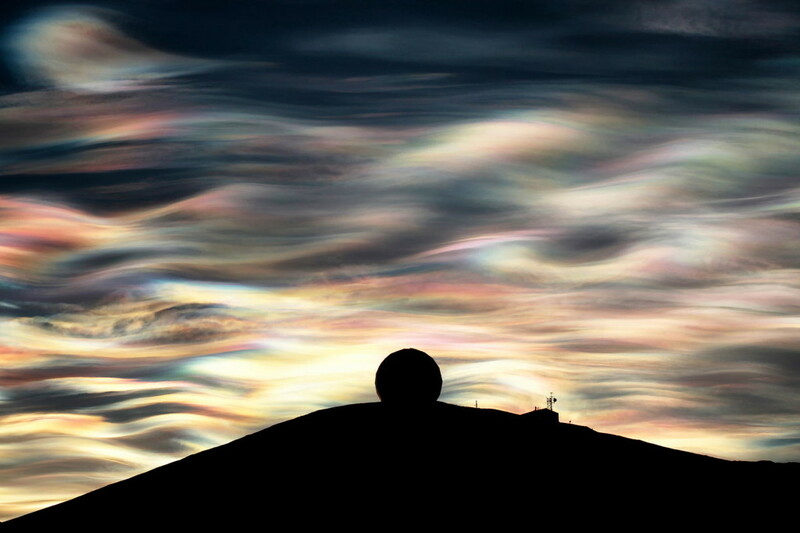 Clearly, on this day, at this exact moment, the atmosphere was alive with crystals facing both directions in the sky over Antarctica.